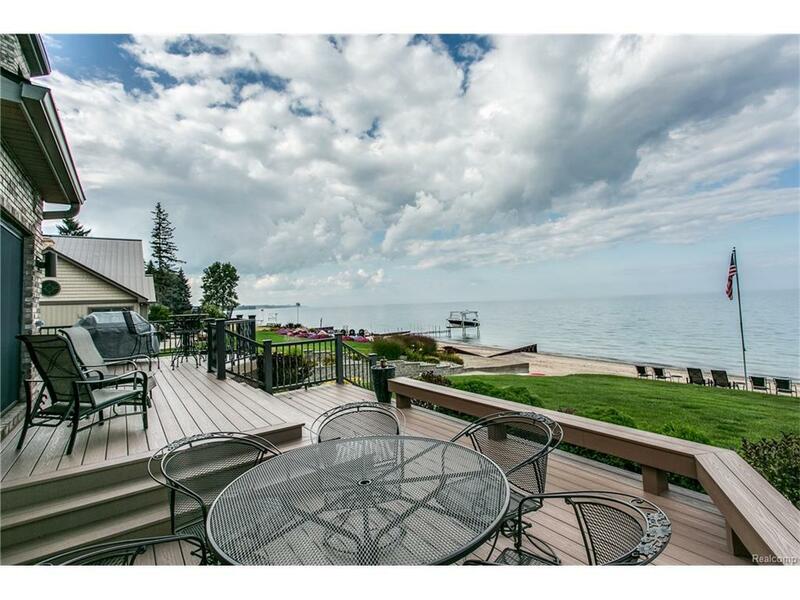 Gorgeous lakefront home with 100 ft of Lake Huron frontage on a wooded lot. Grand entry with 20' ceilings to greet you at this 6 bedroom, 4 1/2 bath home. The main floor boasts a gourmet kitchen with granite countertop, ledged slate backsplash, high-end stainless steel appliances, oversized pantry, sun room as well as separate dining, living, family spaces with 2 gas fireplaces. The upstairs includes; 2nd-floor laundry, 4 bedrooms and 2 full plus a jack/jill bath and office space with a peaceful lake view. The generously sized Master Suite completes this space with granite countertops, steam shower, jetted tub, dual vanity and walk-in closet. Downstairs is perfect for wine lovers with your Whisper Kool wine cellar, gas fireplace, rec space, bar with full sized fridge and full bath plus additional storage. New homeowners will also enjoy dual zone heating and cooling, underground sprinkling, 3 car attached garage, full basketball court and 1500 sqft heated garage. 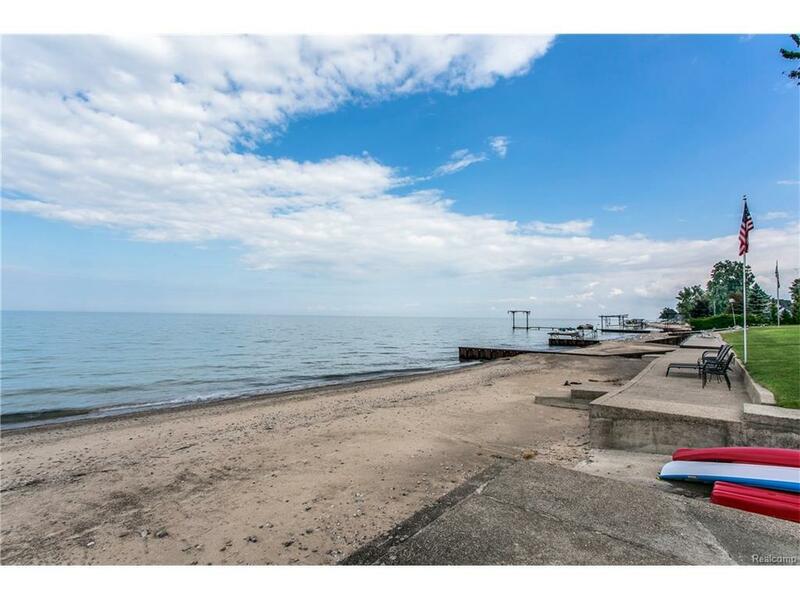 Welcome to Lake living! IDX provided courtesy of Realcomp II Ltd., via Bluewest Properties, Llc and Realcomp, ©2019 Realcomp II Ltd. Shareholders.